RUSH: Emerson College poll shows Roy Moore leads by six in Alabama. There’s another poll that’s showing Roy Moore’s lead continues now. And it’s fascinating to me. If you look at many political blogs, if you look at the FiveThirtyEights, if you look at the big data analyst sites, they’re now almost throwing their hands up in defeat and despair, suggesting that it’s impossible for Roy Moore to lose now. He’s gonna win, and it’s a 70% chance, 80% chance, 90% chance that Roy Moore’s gonna win. And it’s amazing, it’s become conventional wisdom now that the effort to deny Roy Moore has failed. And I think back to all of the energy this movement had. I mean, it had total occupation of the New York Times, CNN, the Washington Post, ABC, CBS, NBC. I mean, you couldn’t go five minutes watching or reading the news without some devastating latest development on the Roy Moore story. And they made it look like it was impossible, this guy should quit while he’s ahead, this guy has no chance of winning, this guy is toast. And of course the Republicans are piping in, “Even if he does win, we’re not gonna seat him. This guy’s a reprobate.” Now, with these latest polls, it’s amazing. It seems like the opposition has thrown up its hands and are now concluding that there’s no stopping the guy. There’s a tinge of bitterness in these opinion pieces and straight news reports about the status of the race. And what has now happened is, instead of just pointing out that Roy Moore is gonna win, they’re now saying, “But he ought to be winning by double digits. In a straight race where this is just Republican versus Democrat with no baggage, Roy Moore should be walking away with this, but he may only etch out a five- to eight-point win.” And they’re trying to say that’s nothing. That’s not a mandate. That doesn’t mean anything. And it’s always a sure sign, when the left figures their efforts have failed, they then try to project or cast the winner as having no power to do anything after the win, which is where they are now with Roy Moore. But I want you to stop and think so that you don’t forget the mind-set of the left and how discombobulated they are. Remember, we had the story yesterday. They can’t believe Trump is still standing. They can’t believe the Trump agenda is moving forward. They can’t believe that Trump hasn’t even been dented. They can’t believe that Trump hasn’t been stopped. They can’t believe any of this. You go back to a year, starting after the election and the Russian collusion story. And I’m here to tell you that these people, vast majority of ’em, got up every day thinking that was gonna be the day where the big news story that was gonna take Trump out was gonna happen. They got up every day thinking that day would be the day when the axe fell. And they got up every day for 365-plus days thinking that exact way. They got up hoping. They got up planning. They got up figuring. They got up thinking. They awakened every day with that, that’s what propelled them. Get Trump. And they all thought they would, one way or the other. And even if it didn’t mean they got him out of office, they were gonna neuter him, they were gonna turn his administration against him. They were gonna paralyze him. They were gonna segregate him. He was gonna be way out there all alone muttering in the halls of the White House to the portraits of former presidents, slowly going insane. That was the worst case scenario. Best-case scenario he quits in frustration or the best-best-case scenario, the Republicans band together and literally kick him out of there. And that’s what they were shooting for. Now, where are we a year later? Trump hasn’t been dented, we’re on the verge of tax cuts being passed, the effort to repeal and replace Obamacare as far as Trump is concerned never stopped. Republicans in the House and Senate is another matter, but as far as Trump’s concerned it never stopped. All of the efforts to stop Trump’s travel ban has not stopped Trump. Trump just yesterday retweeted some videos depicting militant Islamic violence. The left literally went nuts. The swamp went nuts. Theresa May in the U.K. went nuts! It was a huge violation of political correctness. And Trump said (imitating Trump), “Theresa, you’re paying the wrong attention to the wrong thing. I’m not the person to pay attention to. I’m not the story. The story is militant Islam and terrorism and what it is doing to your country and mine and its potential.” And he’s right. But they’re so caught up in political correctness that militant Islam doesn’t even exist much less is it a danger. Donald Trump is the threat, as far as all these establishment types are concerned. Where’s Trump? Trump is triumphing. Trump is happy. Trump is growing into this job. You can tell that Trump every day now — I don’t know what you call it — is he actively enjoying it, or he has gotten used to it, comfortable with it, I don’t know what, but Trump is clearly confident and happy to be where he is and is enjoying the job every day. This was not supposed to happen. Trump was supposed to be miserable. Supposed to be unhappy, supposed to be frustrated, supposed to be filled with hate, supposed to be going crazy in public. Look who’s going crazy in public? It’s the media, the Democrat Party. Just last night, CNN with a bunch of segments on Trump incompetence, Trump derangement, Trump delusion, Trump dementia. David “Rodham” Gergen suggests the Trump family needs to conduct an intervention and send the guy away to a mental rehab institution and put Mike Pence in the Oval Office. While all that is happening, Democrat star after Democrat heavyweight has fallen due to sexual harassment and sexual abuse charges. The names are big and powerful and too numerous to mention, starting with Harvey Weinstein. They can’t bring Clinton out to do that because Clinton’s reputation, much as the last 20 years have been trying to erase the Lewinsky stuff, obviously a failure. Everything Bill Clinton did is now being cited and focused on for a new generation of people that didn’t know about it. Hillary Clinton has become a laughingstock, and she doesn’t know it. The Democrat Party is now running around trying to figure out which of its members they ought to force out and which they ought to try to keep. And to show you what really bad shape they’re in, they think they need to save somebody like Al Franken. If they need to save Al Franken, they are in heap big doo-doo, if that’s considered a success story. Bye-bye Matt Lauer. Bye-bye Harvey Weinstein. Not just celebrities. Weinstein a big Democrat donor, a big Democrat fundraiser, a big Democrat bundler. 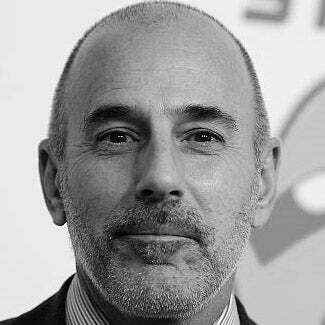 Matt Lauer, a reliable media apparatchik for the Democrat Party doing their work every morning on the Today show and wherever else he went. Louis C.K., all these highfalutin left-wing celebrities, Garrison Keillor. I mean, just yesterday the producer for the Jake Tapper show on CNN waved sayonara. Hollywood producers, sub-producers, Hollywood make up people, you name it, they’re all dropping like flies. And the vast majority of them are indeed left-wing liberal Democrats. Contrast that to the exuberance, the panic, the excitement of a year ago where every day they got up knowing that was gonna be the day they got rid of Donald Trump. Every day. Every day was the day somebody was gonna produce the news that Trump had indeed colluded personally with Putin to steal the election, even though they knew that didn’t happen. Even though they knew this was a contrived, made-up narrative, they were waiting for the day when somebody would have the hammer, the lie that could be sold as irrefutable, proving that Trump colluded. Even though it was a lie, it was gonna be so powerful, Trump couldn’t stop it, couldn’t deal with it. They lived every day with this hope. It’s what got them out of bed every day, it’s what propelled them through the day, the belief that they were gonna get Trump. Now the stock market is at an all-time high. New home ownership and prices are at an all-time high. Economic growth is much higher than it was ever under Barack Hussein Obama. From their standpoint, there’s not too much else that could have gone wrong. Most everything they’ve dreamt of, hoped for, planned on has blown up in their face. They are legitimately Wile E. Coyote. Trump is roadrunnering them off of every cliff while they’re carrying the dynamite that explodes when they hit the bottom. And still they get up each and every day believing, knowing, hoping that that day is gonna be the day they frog march Donald Trump out of the White House in ankle chains and handcuffs. They still believe they’re going to make that happen. Whereas the truth is each day they continue to lose more ground. Each day it becomes clear they cannot mobilize public opinion to do their dirty work for them. They cannot shape public opinion to agree with them on Trump. They cannot separate Trump supporters from Trump. The one power they think they’ve always had to bend and shape, flame and fork public opinion, that’s not even working. They are the ones deranged. They’re the ones that are delusional, and thus they are the ones actually presenting a great danger.